Every December I like to feature something of the non-secular nature, to get into the spirit of the holiday season. In this post I found two quite nice, but obscure Southern Colorado recordings that I'm hoping someone can shed a bit more light on. 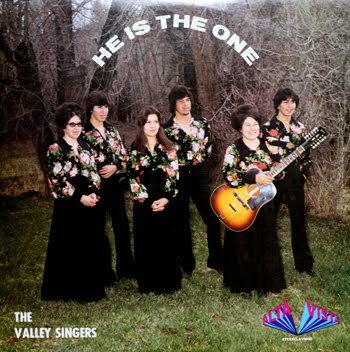 First up is The Valley Singers, out of Capulin--birthplace of Alex J. Chávez, and near Manassa, home to Dot and Jimmy Vaughn. The album (Alta Vista 8890/1976) is apparently the second from the group, who are made up of Emily, John, Linda, Gene, Elva, and Nick. No last name is shown on the disc. The notes on the back indicate that they are all from the same family. LP is a nice blend of English and Spanish language folk gospel. Lots of guitar. Recorded at Alta Vista Studios in Albuquerque, that's pretty much it on this one. Again, any information would be helpful. 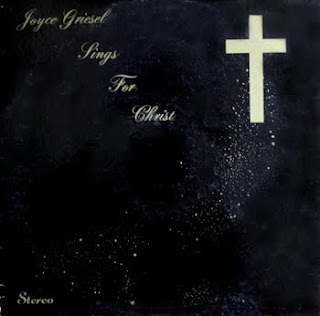 Listen to "He is the Way"
The next find is from Joyce Griesel, a sweet folky femme vocalist, who appears to be out of Salida (back notes from Pastor Keith Frederickson at the 1st Baptist Church there, and who apparently passed away in 2008). LP was recorded at Summit Studios in Denver, and pressed by the prolific folks at Rite in Ohio (33372-1974). "I have been singing since I was seven years old, and began voice lessons at the age of 15. I have wanted to record from the age of 13, but never figured it would be possible. Then in April 1974, we were in Albuquerque where we met and listened to the Kings Quartet. After visiting with these gentlemen and their giving me the name of their recording company in Denver, the ball began to roll." Appears she is accompanied by "Smokey Len" Kapushion. Listen to "I Looked for Love"
Unfortunately she passed away in October. I located her ex-husband's family, who told me that Joyce had hoped the recording would help establish herself as a professional singer. After her divorce she moved to Aurora, remarried, and became a computer technician. This was her only recording.